As a general rule, a member or a manager of a Texas LLC may not be held liable for the debts or obligations of the LLC unless the LLC's company agreement provides otherwise. In fact, the Texas Business Organizations Code ("TBOC") makes that point explicitly in Section 101.114. On the other hand, Texas corporate law has long recognized the concept of "veil-piercing" in which a corporation's shareholder may be held liable for obligations of the corporation in extraordinary circumstances, such as when the shareholder has used the corporation as an instrument of fraud. Texas corporate law statutes provide strict limits on such corporate veil piercing, however. See Sections 21.223 through 21.226 of the TBOC. So are members of a Texas LLC entitled to enjoy the same limits of veil piercing as those enjoyed by shareholders of a Texas corporation under Texas corporate law statutes? Although logic would dictate that the answer should be "yes," at least two out-of-state courts interpreting the TBOC have concluded that the Texas corporate law anti-veil piercing statutes by their own terms apply only to Texas corporations and thus have no application to Texas LLCs. 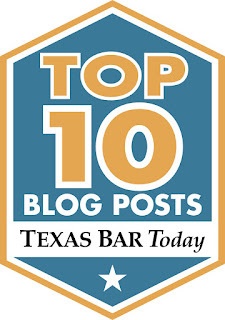 The Texas legislature recently corrected the potential for unequal treatment for members of Texas LLCs by adopting a new Section 101.002 to the TBOC. The new provision explicitly provides that the anti-veil piercing provisions enjoyed by shareholders of Texas corporations under Sections 21.233-21.236 of the TBOC will apply to members of Texas LLCs as well. The new provision took effect September 1, 2011. Is it possible to conduct a lawful private placement of securities under federal securities laws without relying upon Regulation D or other so-called "safe harbor" exemptions from registration under the Securities Act of 1933, as amended (the "Securities Act")? Absolutely. By definition, a legal safe harbor means that compliance with the safe harbor is not required, but failure to comply is done at one's own peril. Accordingly, an issuer of securities who fails to comply with each and every term and condition of Regulation D or other safe harbor exemption from registration may still be exempt from registration under federal securities laws. An issuer who chooses to sail outside of those safe harbors, however, takes the risk that the Securities and Exchange Commission ("SEC") or a judge may conclude that the issuer has conducted a public offering rather than a private placement of securities in violation of the Securities Act. Failure to comply with the registration requirement under the Securities Act has serious consequences, so most issuers conducting a private placement play it safe by relying or attempting to rely on Regulation D as a safe harbor exemption from the registration requirements. The November 2010 issue of The Business Lawyer, a legal journal published by the Business Law section of the American Bar Association ("ABA"), has a terrific report summarizing the history and current state of the law of private placements outside of safe harbors. Its title, appropriately enough, is "Law of Private Placements (Non-Public Offerings) Not Entitled to Benefits of Safe Harbors - A Report." It was written by the Committee on Federal Regulation of Securities of the ABA Section of Business Law. (1) Manner of offering. The issuer may not use "general solicitation" or "general advertising." (2) Sophisticated Purchasers. The issuer must reasonably believe that all purchasers in the offering are knowledgeable and sophisticated. (3) Access to Information. The purchasers must have access to information about the issuer and the offering to make an informed decision. (4) Resale Limitations. The issuer must take reasonable steps to prevent the purchasers from reselling the securities. (1) Number of purchasers. As long as the purchasers are capable of evaluating the investment, the number of purchasers should not matter. (2) Preexisting relationship with purchaser. The purchaser need not have a preexisting relationship with the issuer. (3) Eligibility of Offerees and Purchasers. It should not matter whether or not an offeree who does not ultimately become a purchaser is knowledgeable or sophisticated. Also, the ability of a purchaser to bear the economic risk of an investment should not be relevant, except to the extent that concept is baked into the definition of "accredited investor," who are persons assumed to be financially sophisticated. (4) Size of the Offering. (6) Manner of Offering. The existence of an investment banker (whether the broker-dealer is acting as principal or agent of the issuer) should not be a relevant factor. Also, dissemination of information about the offering by parties other than the issuer or someone acting on its behalf should not be deemed a "general solicitation" which would destroy the issuer's exemption from registration. (7) Information. It should not matter whether or not a non-purchasing offeree received full access to information. Generally, purchasers will be deemed to have adequate information about any issuer that is publicly traded and therefore subject to the reporting requirements of the Securities Exchange Act of 1934, as amended. (8) Resales. If the issuer takes reasonable steps to prevent resales of the securities, it shouldn't matter if one or more purchasers nonetheless resells the securities in violation of the issuer's resale restrictions.